Launched in 2004, Flying Tomato takes the spirit of bohemian fashion and has grown to become one of the leading boho brands in the apparel industry. Inspired by world travels, 70’s era, and vintage fashion, Flying Tomato draws the free-spirited individual with its distinct edge. 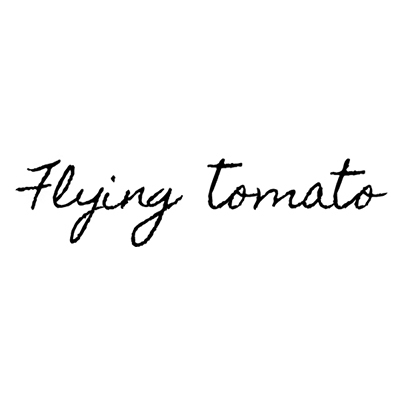 Now carried in over 2,000 clothing boutiques and top retailers worldwide, and an expansion into Kids as well as Plus Size clothing, Flying Tomato continues to take flight and flourish into making it’s mark in the fashion world. It wasn’t long before Salt & Pepper Clothing introduced a sister line also known as Champagne & Strawberry. In an effort to create a line that would stand out in sophistication and simplicity, Champagne & Strawberry began catching the eyes of the world in 2010. Influenced by the style of the 1920’s, the designers travel the world for laces, embellishments, and more to recreate classic and timeless pieces with a modern touch. In 2011, we launched our third clothing line, Jealous Tomato. Bringing together chic statements and ultimate femininity for the everyday woman, this brand is for anyone who appreciates versatility and effortlessness. With inspirations from high-fashion designers and runway looks to new season trends, Jealous Tomato showcases collections that radiate sophistication, sexiness, and simplicity. Any return request after the RA period will not be accepted. RA# will not be accepted and will be returned to the shipper.